Momentum Health MTB X course throws up some big challenges for those looking for overall glory. The Maserati BIG5 Challenge participants woke up to overcast skies and a light breeze on Thursday as they prepared themselves to take on the fourth event in the overall race, the Momentum Health MTB X. This is a new addition to the Maserati BIG5 Challenge line up and certainly offered the most interesting post-race tales! MTB X is a combination of obstacle course racing and mountain biking, which culminates in one very exciting event. An 8km course with several obstacles formed the core of the event, with participants having to cycle and navigate (carry, drag, lift) their bikes over a series of eight obstacles to complete their laps. With obstacles named The Monster, The Rumbles and a floating bridge to contend with participants definitely had their work cut out for them. The BIG5 Lite competitors were off first on their quest to complete three laps of the course, followed by the BIG5 Juniors who had to make their way once or twice around the route depending on their age group. At 10:00 the Maserati BIG5 Challenge competitors lined up in the start gate for their turn at taming the trail over four laps. Overall Bradley Weiss came out on top in the Men’s category allowing him to maintain his overall lead before the final event of the series, the Momentum Knysna Forest Half Marathon. “It was really cool, it was perfect racing weather and a really fun course that the MTB X guys put up. There were a few tricky obstacles but I am glad I got to get a little more time on the other BIG5 guys with the run coming up this weekend”, said Bradley Weiss. In the Women’s race it was Johandri Leicester who pulled out a stellar performance to take the overall lead in the Challenge, gaining a two-minute advantage going into the final event. To support the community that’s played host to this event for the last eight years the Maserati BIG5 Challenge will be raising funds for #KnysnaRises through the big5fundracing.co.za platform. To help them help rebuild Knysna after devastating fires earlier this month pick a participant and pledge your support!  Columbia Sportswear is a proud sponsor of the Big5 Challenge and is running the #Unite4Knysna Campaign in conjunction with the prestige event. In the brands commitment of being tough and tested against all odds, they stand shoulder to shoulder with the community of Knysna and the surrounding areas, and pledge 10% of all purchases at the Columbia SA BIG 5 Challenge Store at the event and online at http://www.columbiasportswear.co.za to the Knysna Rotary Fire Relief Fund.